Limited passes available. Secure yours now! $200** off one conference pass if you register within 30 days of this conference (IMC-2019, TRC-2020 and MaximoWorld 2020) **may not be combined with any other discounts. *Discounts automatically update when the number of registrants reaches 5-9 or 10+. Fees must be paid in full by end of promo to receive price discount. Registration price for a companion is $499 and includes entry to food venues and social functions unless specified as “invitation only.” Persons under 21 may not register or attend ANY function or event. NO PERSON may enter ANY conference venue without a pass. *Under no circumstance may a Companion pass be purchased for or used by a person who could be reasonably defined as a “commercial” or “business” guest. This pass is offered as a convenience for spouses, partners or other personal guests of an attendee, therefore, the Companion may not be attending the event in any commercial capacity. 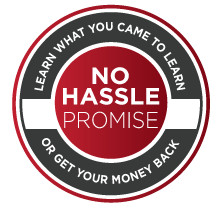 Reliabilityweb.com's Promise - Learn what you came to learn, or get your money back – No Hassle. Cancellations received before 90 days from the event date will be fully refunded, minus a $150 administrative fee. No refunds will be made within 90 days of the workshop. All cancellations must be made in writing. You can substitute a person from the same company by request or have your paid fees carried over for 1 year (good at any RW event/workshop).